Negar leads day-to-day operations and drives our strategic vision. She has extensive experience as a global leader and entrepreneur with 15+ years’ experience driving revenue by launching and expanding companies in high tech and consumer electronics in the US and around the world. Negar’s prior experience includes world-wide business development roles with Cisco Systems, Acer Computers, Gateway Computers and a variety of successful startups. Negar is a graduate of the University of Colorado at Boulder. When she isn't driving our team to success she can be found driving her Prius to yoga or to Los Angeles hot spots. Teigue is responsible for business planning, financing and strategy as well as for legal, HR and administrative operations. Before co-founding Yourkidvid she was General Counsel at Acer Computers. Prior to that she was General Counsel at Gateway Computers. Teigue’s education includes a BA in Marketing from Bucknell University, a JD from New England School of Law in Boston and study at the Boston University MBA program. She is also a mom and her kids often inspire--and star in--our films. 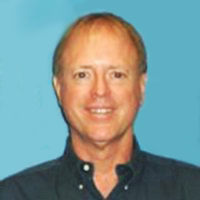 Robert is charged with the technical development and advancement of Yourkidvid products and services. An MIT engineer and manager with a proven history of innovation in software development, Robert brings the latest in technical concepts to the Yourkidvid creative machine. With more than 8 years of experience as a former executive at Sony Online Entertainment, Robert provides a development toolbox that helps bring ideas to life in an efficient, creative way while seeking to maximize the customer experience. Aric manages the Yourkidvid brand, design aesthetic and overall product development, while overseeing creative strategy and execution; from idea to implementation. An award-winning director, writer and motion graphics editor, his work includes numerous television commercials, motion pictures, and music videos. HIs feature film directorial debut, "American Gun" was featured at SXSW and Toronto Film Festivals and was nominated for Best Feature Film at the Film Independent Spirit Awards. Aric graduated with Honors from the Loyola Marymount University School of Film and Television.